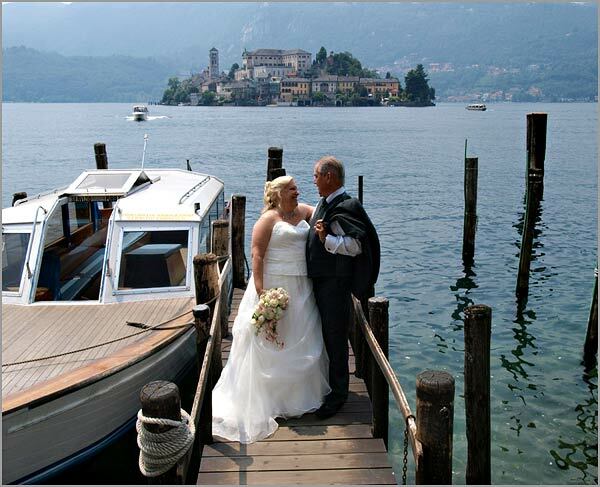 Two Annas got married today on Lake Orta! 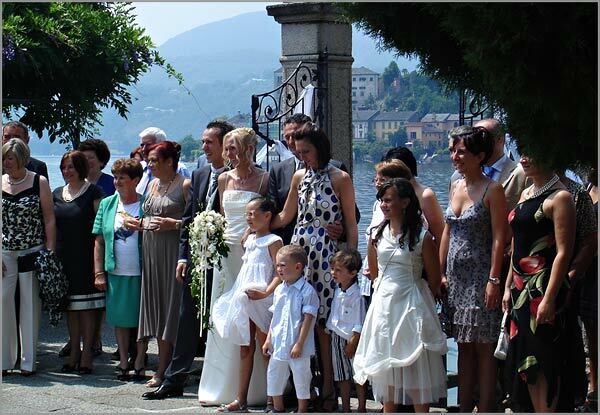 Home » Just Married » Two Annas got married today on Lake Orta! 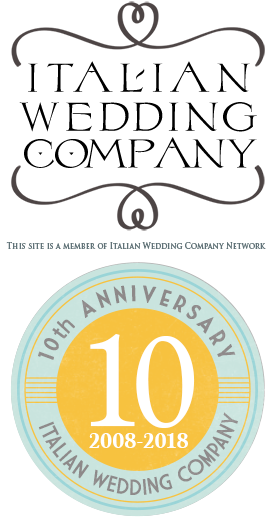 Another double event on Lake Orta! This time two Annas got married over here. 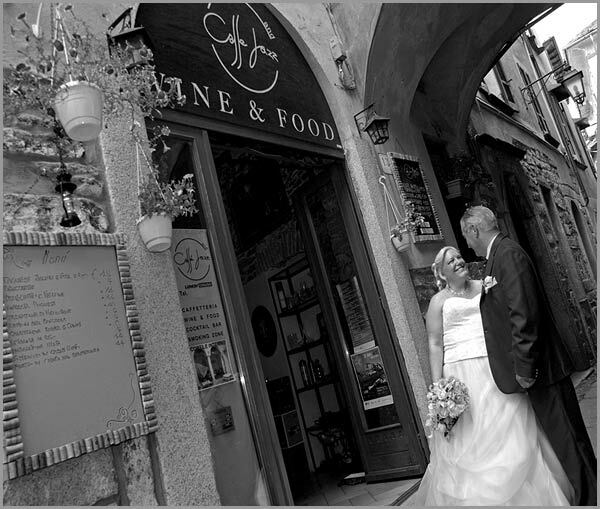 Anna and Roberto chose Sacro Monte in Orta while Anna and Ale got married to Villa Bossi. Anna and Roberto’s wedding preview images were given by photographer Raffaello Mazzoleni who once again confirmed his quickness in providing post produced photos. 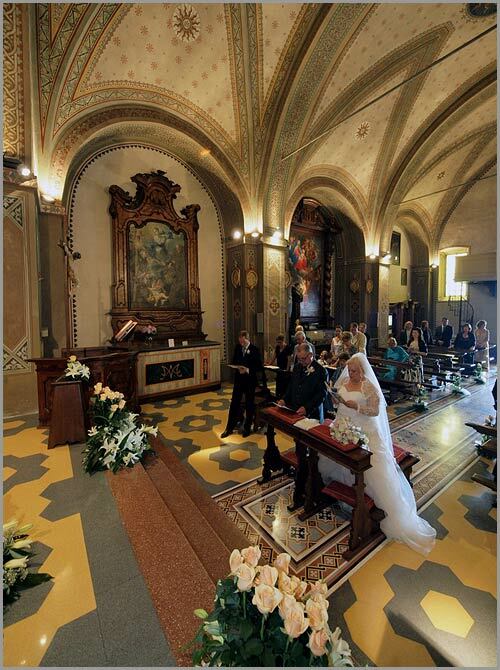 Anna and Roberto got married in Sacro Monte church. 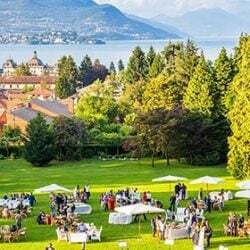 The party went on to beautiful Villa Ortea, Pettenasco and in its wonderful gardens facing the lake. 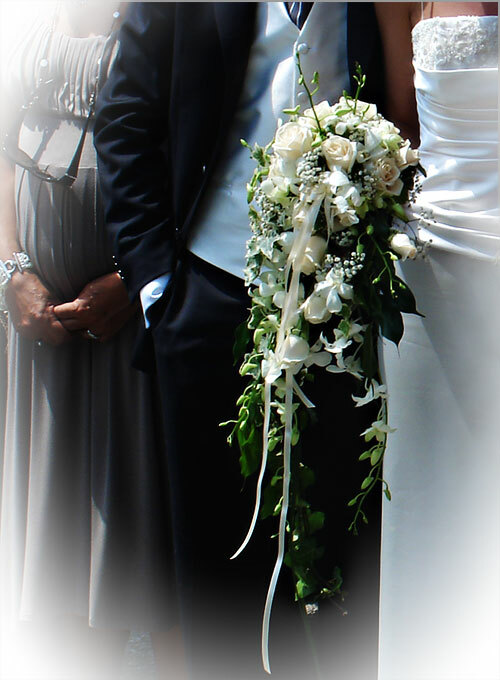 Both brides are named Anna and chose a falling orchids bouquet. Pink Cymbidium for Anna and Roberto and white Dendrobium for Anna and Ale. 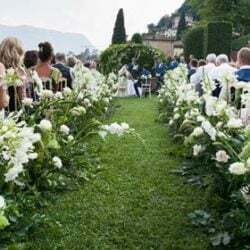 Anna and Ale’s civil ceremony was held in the late morning to Villa Bossi – Orta San Giulio town hall. 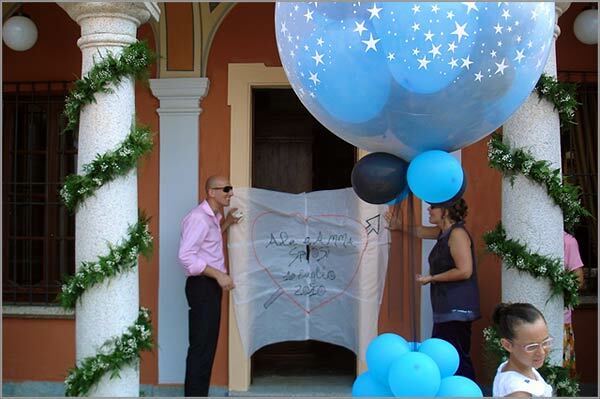 Villa Bossi garden was full of baloons with the colors of Inter FC Milano – who recently won Champions League. Ale is a great supporter of this team! Our best wishes to our Annas and to their handsome grooms! 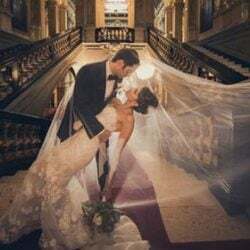 ← Miss Netherlands got married today on Lake Maggiore!